Fourteen years after first being staged in Jakarta, the celebrated musical theater work I La Galigo will make a return to the capital this July with the support of more local talents on its production team. 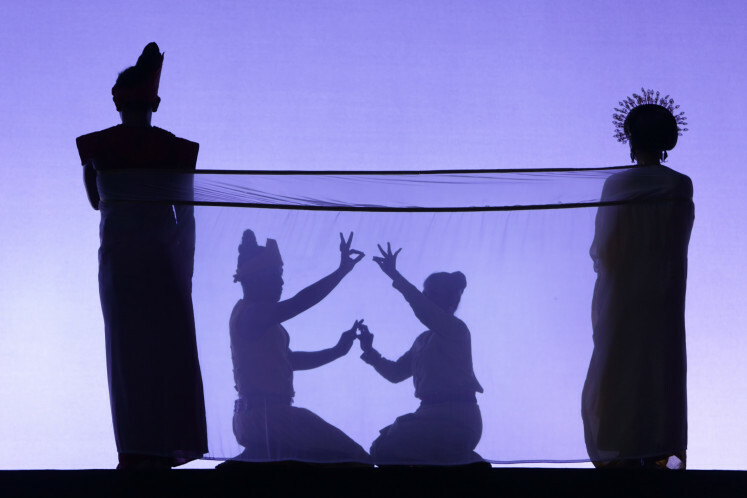 Directed by award-winning American theatre director Robert Wilson, the two-hour play is inspired by the 6,000-page mythological epic poem Sureq Galigo, also known as La Galigo, of the indigenous Bugis people of South Sulawesi. 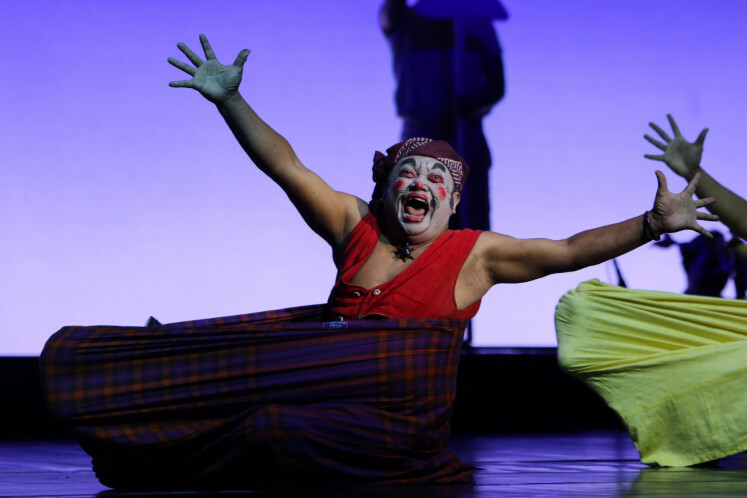 I La Galigo was first performed in Singapore in 2004 and went on to be performed in various theatres around the world before returning to its “homeland” in Makassar, South Sulawesi, in 2011. 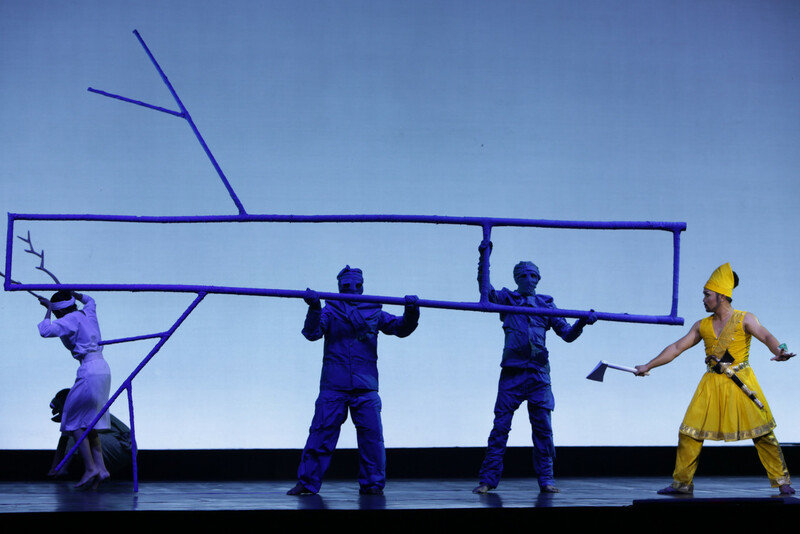 Last year, I La Galigo was staged in Bali as part of the IMF World Bank annual meeting. The musical theater show was first performed in Jakarta at Taman Mini Indonesia Indah in 2005 and will make a return at the Ciputra Artpreneur Theater, South Jakarta, from July 4 to 7. I La Galigo co-producer and artistic director Restu Imansari Kusumaningrum noted that the show had come a long way since its first Jakarta performance 14 years ago, with more Indonesians taking part in the production. “When I’m asked about my hopes about I La Galigo returning to Jakarta, for me, this is an example of the fine work done by Indonesians through the transfer of technology,” Restu said recently. “The lighting designers are no longer Americans, the lights are no longer flown in from Germany, as we did back in 2005, and we also have three containers of costumes designed by Obin,” she said, referring to esteemed Indonesian designer Josephine “Obin” Werratie Komara. Based on the 18th century manuscript of La Galigo, the two-hour play tells the story of Sawerigading, a young prince and descendant of a deity, and his search for true love. His first love, his twin sister We Tenriabeng, is an impossible union, as it would spell doom for the kingdom. The prince later falls in love with a Chinese princess called We Cudaiq, with whom he has a son named La Galigo. The boy grows into a spoiled rascal who wanders from island to island stealing other men’s wives. According to American director and writer Rhoda Grauer, what set La Galigo apart from other classics was the fact that it was a serious work while also having parts that were comedic in nature. The play came into being when Grauer was introduced to the Bissu priests of the Bugis tribe while researching a movie on South Sulawesi’s wooden two-masted phinisi boats. While researching the Bissu, which is considered one of the five genders recognized in Bugis society, Grauer was advised by scholars to research the Bugis creation epic to understand more about the priests. “As a foreigner, initially I thought ‘Why doesn’t anyone here know about La Galigo? It’s their story’. But then I realized, very often it’s someone from outside who hears about something and is taken with it,” Grauer said. Grauer discovered that the manuscript for Sureq Galigo was 6,000 pages long and written in the Bugis language, but at that point she was determined to find out more about the epic. Some of the scholars suggested that Grauer should turn La Galigo into a movie, as she is a filmmaker by trade. However, Grauer felt that the source material was too big for a film. Restu noted that La Galigo was culturally significant as it represented Indonesia’s rich cultural diversity. “In one of the most populous countries in Asia with more than 700 ethnic languages, I see I La Galigo as not owned by a particular group, but rather part of the nation of Indonesia,” Restu said. Tickets for the Jakarta performance of I La Galigo can be purchased at www.ciputraartpreneur.com, with prices ranging from Rp 475,000 (US$33.66) to Rp 1.85 million.